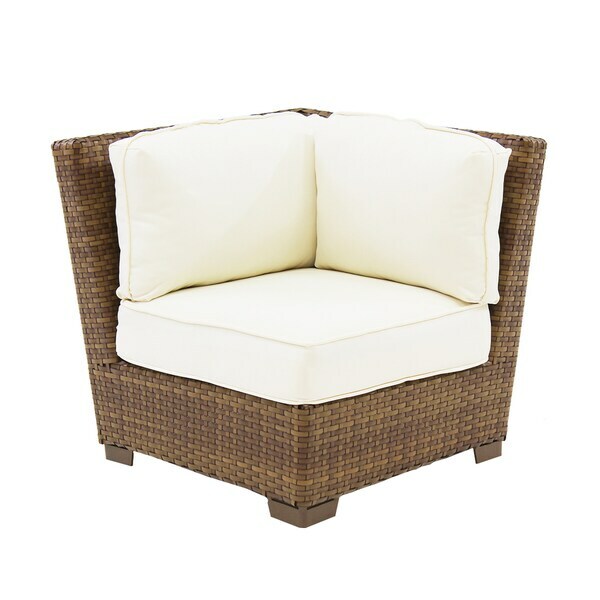 The modular corner chair incorporates an extruded aluminum frame with an exclusive thick woven wicker fiber and is strong and durable. A fast drying cushion of polyester fabric compliments the modular corner chair to provide extra support. Ordered two modular corner chairs. Cushions on the two chairs did not match in size and in contour. Sent order back. "What is the thickness of these cushions?"